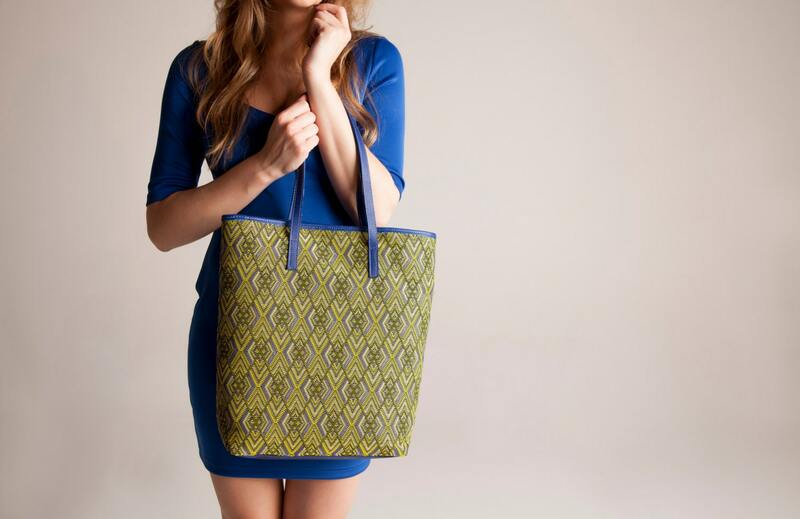 Shopper tote bag, this medium yellow handbag will serve you well and in style, no matter where you go: city, office, out with friends this spring or summer. 100% made in Italy. You can easily put in an tablet and work folder. 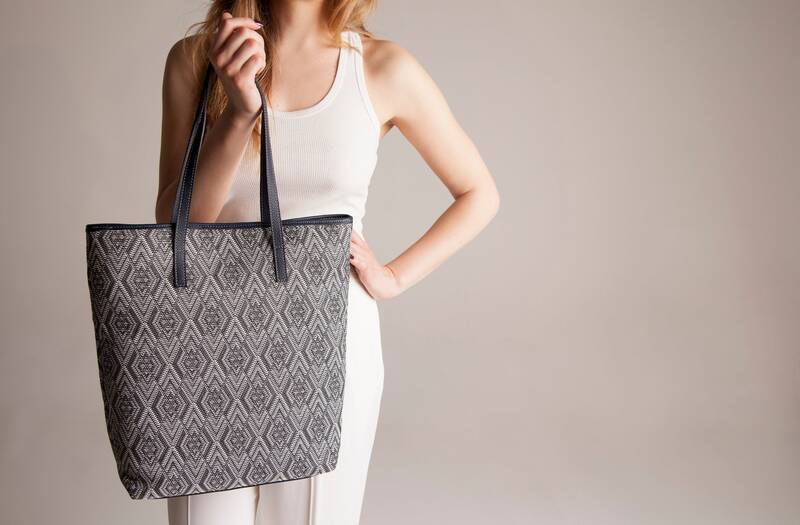 It's worthy for its handiness , lightness, capacity, high quality strongness fabric plastic (pvc) and cotton weaving fabric, genuine leather trim, 100% Made in Italy. Its slouchy, foldable easy to pack. - base: yellow, french lilac and black. 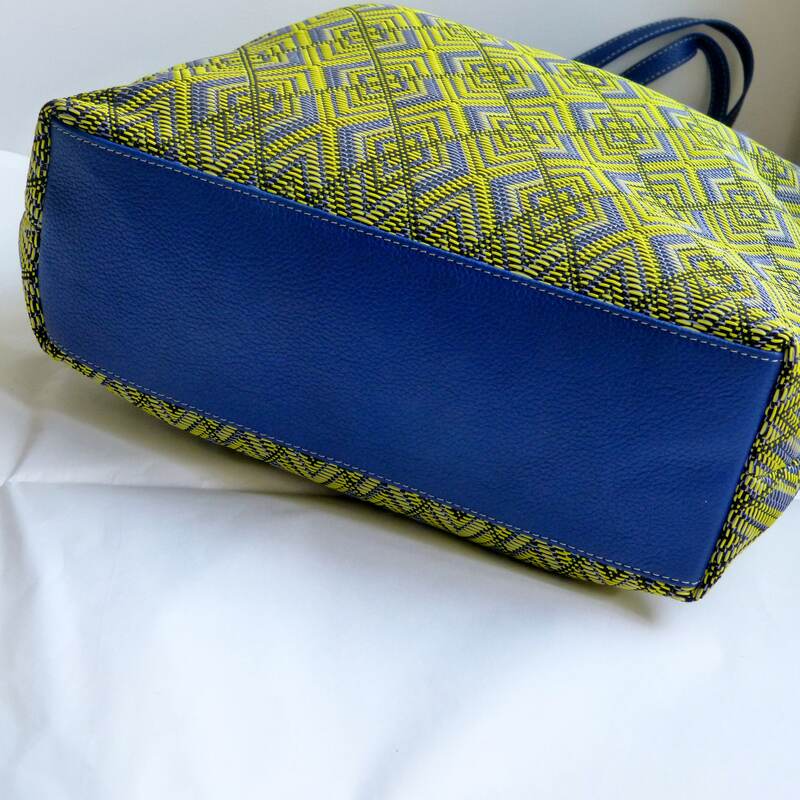 - shoulder strap: italian cobalt blue leather. Dimensions are wide X lots of room! - Open top and fixed shoulder strap. I would love you going on Etsy marketplace (it's the place I have started selling my goods) and digit www. etsy.com/it/shop/vquadroitaly#reviews there you will fine all the reviews left on the items purchased.